Pack up your camping chairs and join us for a fun-filled evenings entertainment watching the original 1969 film starring Michael Caine and Noel Coward. The cult classic is often considered as one of Britains greatest ever comedy capers famed for its endlessly quotable dialogue and of course that famous car chase! Proceeds from the screening will raise funds for Rotary charities, including the Midlands Air Ambulance. Fancy dress optional, why not get in to the spirit of the swinging 60s and don some 1960s clothes? The best dressed person, as identified by the Rotary will win a special prize! You are welcome to bring your own picnics, however there will be plenty of food outlets at the showground, plus get into the 1960s vibe on board an iconic red vintage 1967 London Routemaster bus which has been transformed into a fully functioning bar with a retractable roof, serving quality real ales from local breweries and all your other favourite tipples! £15 per person. advance bookings only. Children under 3 years old go free. The Italian Job Outdoor Cinema Night is by advance bookings only, visit: http://tewkesburycvf.org. The film is rated PG, parental guidance advised. (running time: 97mins). Rotary Club of Tewkesbury stage their annual Classic Vehicle Festival at Tewkesbury School Playing Fields on Sunday18th. 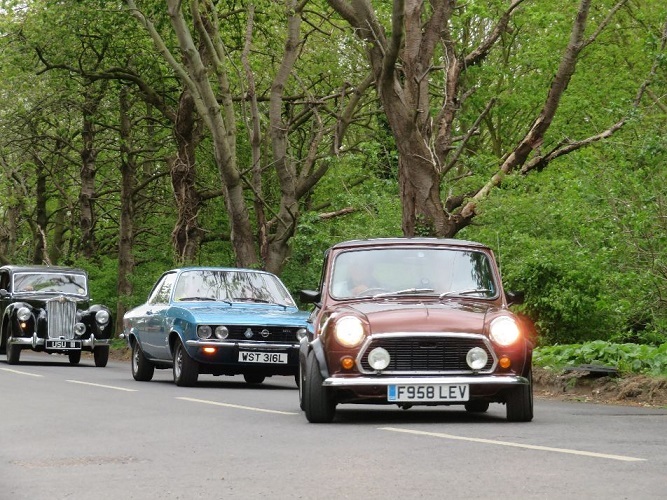 For this pre-event on the Saturday 17th, the Rotary Club of Tewkesbury presents THE ITALIAN JOB on an open air big screen, the night before the popular Classic Vehicle Festival.